Tulku Jigme Norbu Rinpoche with HH the Dalai Lama and Ralchen Namdrol Sangpo, and in Bhutan at Tigers’ Nest. 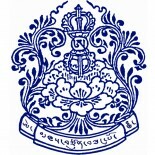 Since the Parinirvana of Khetsun Sangpo Rinpoche in 2009, Kangyur Tulku Jigme Norbu Rinpoche has assumed the leadership of Pal Ngagyur Shedrup Döjö Ling. Born in 1983 to Khetsun Sangpo Rinpoche’s daughter Tsering Dolker (“Tsedol”), Tulku Jigme Norbu Rinpoche was brought before HH Dudjom Rinpoche at six months of age and recognized as a reincarnation of Longchen Yeshe Dorje, the great terton of the 20th Century known as Kangyur Rinpoche. The reincarnation was independently confirmed by HH the Dalai Lama, HH Sagya Trizin Rinpoche, HH Minling Rinpoche and HH Chogyal Tri Rinpoche. Directed by HH the Dalia Lama, Tulku Jigme Norbu Rinpoche completed primary education at Tibetan Children’s Village in Dharamsala, India. He later toured France with his grandfather, the Venerable Khetsun Sangpo Rinpoche and received a series of initiations from HH Dilgo Khyentse Rinpoche, including Khadam Lhashi; Rangjung Pema Nyingtig; Chogling Dorsem; Terton Sogyal’s Phurba; Longchen Nyingtig’s Rigzen Duba; Yumka; and Kangyur Rinpoche’s Tsigdun Ladrup. In 1994, Khetsun Sangpo Rinpoche gave Tulku Jigme Rinpoche all the initiations and transmissions of Tulshik Dorngak Lingpa’s treasure, “A Golden Seed of Yantig Nakpo.” Also that year Tulku Jigme received many long life initiations from HH the Dalai Lama and the Thugdrub Yan Nying Kundun initiation. He studied and practiced the “Thirteen Great Sutras” and the “Great Sacred Vajra Heart” lineage cycles. In 1998, HH Taklung Tsetrul Rinpoche gave Jigme Norbu the Nyingma Kama initiation and sramana vows. At the same time, and with the knowledge and blessing of HH the Dalai Lama, HH Taklung Tsetrul Rinpoche ceremoniously enthroned Jigme Norbu Rinpoche as a reincarnation of the great terton Longchen Yeshe Dorje. Again guided by HH the Dalai Lama, in 2000 Tulku Jigme Norbu went for further studies at Namdroling Monastery in South India. While there he received the Rinchen Terzod initiation and studied the Middle Path with learned khenpos. When HH Penor Rinpoche visited Kathamandu, Tulku Jigme Norbu received the “Nyingtig Yashi” initiation. In 2003, Tulku Jigme Norbu Rinpoche returned to Pal Ngagyur Shedrup Döjö Ling in Sundarijal to begin advanced studies in kama, Terma, Sutra and Tantra from the Ven. Khetsun Sangpo Rinpoche, who has served as his constant guide and master. Khetsun Sangpo Rinpoche has passed along to Tulku Jigme Rinpoche all his profound knowledge and insights. At Shedrup Döjö Ling, Tulku Jigme Norbu continued to receive constant instruction from the resident khentuls and khenpos as well as from the Ven. Khetsun Sangpo Rinpoche himself, until the time of his Parinirvana in 2009. In 2004, because of his remarkable studies, Tulku Jigme Norbu received the shedra’s highest certificate. In 2007, at the young age of 22, Tulku Jigme Norbu Rinpoche began his teaching career at Shedrup Döjö Ling. 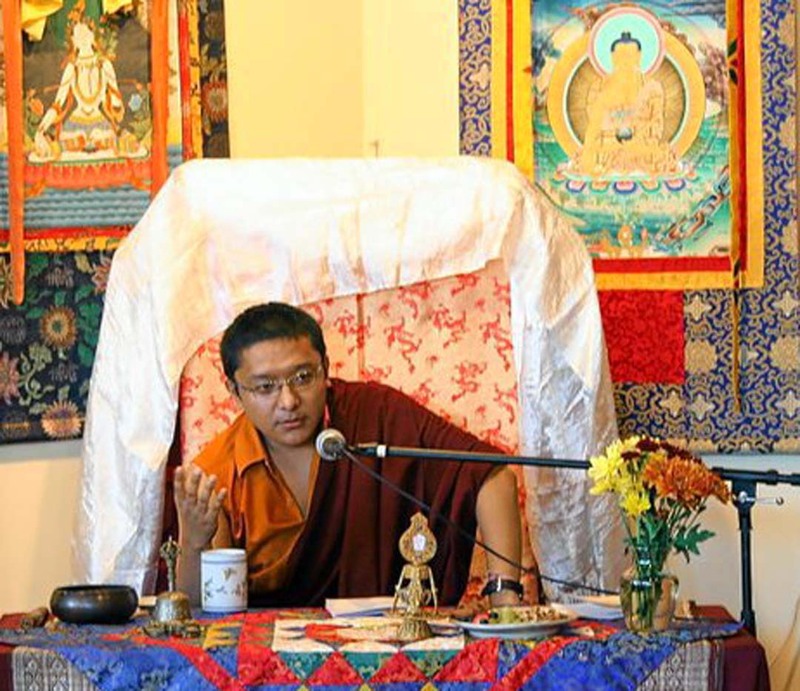 Tulku Jigme Norbu Rinpoche teaching at Dawn Mountain in Houston, Texas, USA. Tulku Jigme Norbu Rinpoche made his first educational tour to the United States in 2008, and has made several subsequent teaching tours to both the USA and France. In France, he has offered teachings at Shedup Kunsang Chöling and at HH Dudjom Rinpoche’s center, Urgyen Samye Chöling. In America, he has taught at Dawn Mountain Tibetan Temple in Houston, Texas, at Palri Pema Od Ling in Austin, Texas, and at the Brazos Buddhist Association in College Station, Texas.